Dr. Marc Gafni is a visionary thinker, social activist, passionate philosopher, and author of ten books, including the award-winning Your Unique Self: The Radical Path to Personal Enlightenment, the two-volume Radical Kabbalah, the recently published Self in Integral Evolutionary Mysticism: Two Models and Why They Matter and Tears: Reclaiming Ritual, Integral Religion, and Rosh Hashana. He holds his doctorate in philosophy from Oxford University, and received rabbinic certification from the chief rabbinate in Israel, as well private rabbinic ordination. He teaches on the cutting edge of philosophy in the West, helping to evolve a new ‘dharma,’ or meta-theory of Integral meaning that is helping to re-shape key pivoting points in consciousness and culture. He has been a guest editor of the Journal of Integral Theory and Practice on issues of integral spirituality, and a faculty member of JFK University. He is the co-founder, together with Ken Wilber, Sally Kempton, and Mariana Caplan (now also joined by Lori Galperin), of The Center for Integral Wisdom, a leading activist think tank dedicated to articulating a practical politics of love, and to catalyzing an emergent personal and global vision of ethics, Eros and meaning. Together with author and social innovator Barbara Marx Hubbard, he is working on a series of new works revolving around Evolutionary Spirituality. As co-initiator in 2014 of the Success 3.0 Summit with John Mackey of Whole Foods Market and entrepreneur Kate Maloney, Gafni is known for his visionary work on evolving a post-dogmatic shared language of meaning and success, rooted in the entrepreneurial values of Wake Up, Grow Up, Show Up and Outrageous Love. The Success 3.0 Summit’s method and movement is to bring together key thought leaders and change-agents to collaboratively evolve a bold new Integral vision of Success. The event hosted key business and thought leaders including, Tony Hsieh (CEO, Zappos Inc), Arianna Huffington (Editor in Chief, Huffington Post), Alanis Morissette (Singer/Songwriter & Activist), Blake Mycoskie (Founder, TOMS Shoes), Barbara Marx Hubbard (Author, Social Innovator, Evolutionary Thought Leader), Casey Sheahan (former CEO, Patagonia), Lynne Twist (Global Activist & Author), Adam Bellow (Vice President, Harper Collins), Ben Jealous (former President & CEO of the NAACP), DJ Spooky (Composer, Musician & National Geographic Emerging Explorer), Tom Chi (Innovator & Founder, Google Glass), Jack Canfield (Author, Chicken Soup for the Soul), and many others. Known for his rare combination of brilliant mind and overflowing heart, Gafni is a leading public intellectual impacting the source code of global culture, and has been called a trail-blazing visionary in opening up new possibilities for love, Eros and relationship. He has led international spiritual movements and learning communities, as well as created and hosted for several seasons a popular national Israeli television program on culture, meaning, and spirit on Israel’s leading network. Over the past 30 years, Dr. Gafni has developed educational programs and workshops rooted in traditional wisdom and yet fully adapted to the needs of the contemporary world. Gafni is well known for his love of Integral Theory and its profound importance. As an expression of that importance, he has engaged with Ken Wilber over the last twelve years in dozens of discussions designed to clarify and evolve key dimensions of Integral Theory in relation to Unique Self, World Spirituality, Prayer and the Second Person of God, Evil, Eros and the the Future of Love and Relationship. 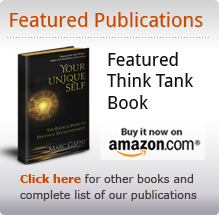 Similarly JITP devoted an entire issue to Unique Self with the leading article by Gafni entitled “The Evolutionary Emergent of Unique Self, A New Chapter in Integral Theory“. Sean Esbjorn Hargens in his preface to Radical Kabbalah has already noted Gafni’s important contributions to Integral theory. It is worth adding that Gafni has contributed to evolving Integral theory in terms of emergent understandings of what he has called “the democratization of enlightenment,” a second tier theory of moral obligation, a second tier realization of prayer, of what he has called World Spirituality, Evolutionary Eros, Integral Sexuality, Conscious Entrepreneurship, Theodicy, and the beginning of an Integral theory of Unique Self. 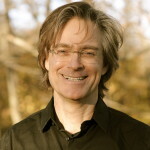 For more on his work, see www.marcgafni.com. I very much enjoy working with Marc and Daniel Schmachtenberger on a course to be offered through the Center from Integral Wisdom, “Becoming a Future Human,” on exploring with him sacred texts, (as I am publishing a new book: Evolutionary Testament of Co-Creation: The Promise Will Be Kept— an evolutionary perspective on the Gospels, Acts and Epistles), and co-conceiving with him and others some remarkable initiatives that have the possibility of truly serving the world. I look forward to working with Marc and others at the Center for Integral Wisdom. For me, as a life long advocate of the world view of Conscious Evolution it is like home coming within an evolutionary family. What’s the “bigger game” Marc is up to in the world? Marc’s prayerful commitment is to participate in and help to catalyze the articulation of a shared global framework of meaning and responsibility–which is the urgent need and great planetary adventure of our time. Such a framework honors the singularity of every great wisdom tradition, even as it identifies the underlying depth structures and unique contributions of each. When taken together, these begin to articulate an authentic “users guide to the universe.” The Center for Integral Wisdom is the great renaissance project of our time, inviting outrageous love in response to outrageous pain, audaciously and lovingly demanding that each of us step up to being All In For All Life. The Center for Integral Wisdom is engaged in a series of “source code evolving” landmark projects in the areas of Conscious Capitalism & Entrepreneurship, Unique Self, Eros, World Spirituality, Gender, Relationship, Medicine, Education and Psychology. We believe that these projects will help to unfold–for the first time in the post-modern era–a shared vision of meaning: an authentic world philosophy based on Integral Unique Self principles. Our work in the world is focused in several areas: leading-edge scholarship, books & white papers, large scale virtual courses and public events, and other projects which are collectively re-shaping key pivoting points in consciousness and culture. Ecclesiastes: Written by King Solomon chalk full of stunning advice on life, relationships and business.